The Dublin 1/2 chaps will give your child more security in the saddle then riding just in paddock boots. The suede chap has elasticized panel for better form-fitting fit. 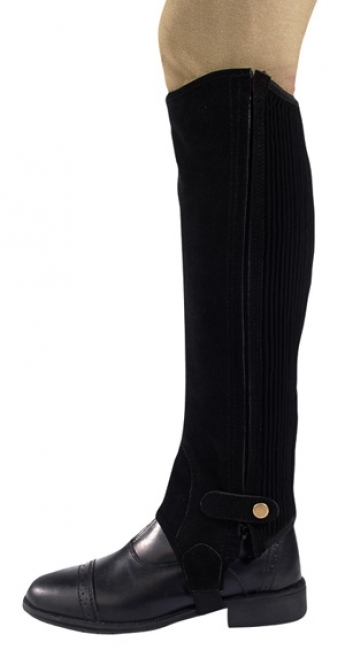 We offer it in brown or black to match the riding boots. Zips from top to bottom for easy on and off.